Content audit is an analysis of the all the content your organization is responsible for. A content audit is a cornerstone for content strategy, SEO, social media marketing, corporate communications, digital advertising, brand guidelines, style guide and your voice and tone. While the analysis involves quantitative measures, much of the process is qualitative. It involves identifying high-quality content, removing low quality content and establishing guidelines and standards. The areas that usually are most inspected are the content on your website and social media pages. Here are 8 surprisingly simple steps to conduct a content audit. START WITH A SPREADSHEET OR LIST: In order to do any audit, you have to begin with an inventory. A spreadsheet or list is what you’ll need. A simple set up is create column for: 1) Webpage URL’s, 2) Page Titles, 3) Descriptions or snippet of essential text, 4) Date published or created and 5) Actions (whether, at the end of the audit, the page stay, goes or is reworked). IDENTIFY WHAT’S UNIQUE AND DIFFERENTIATING: Look at your inventory and see what your content says about you, your company and your products or services. What’s unique and differentiating? Why should your audience take note and care? How do you keep it fresh? Avoid being repetitive. Add news? MEASURE INTEREST AND APPEAL: Objective measurements such as Pageviews, Search Rank, Links and Shares, Comments, Likes, Views and Re-Tweets for social media pages are considerations to measuer. They can all be found in a web analytics tool like Google Analytics or through search queries and review of your social media pages. ASSESS ACCURACY, DATE AND WRITING PROFESSIONALISM: The relevance of your content is influenced by its recency, reliability and writing. Examine content by how often you write about it, what is included (e.g. images, video, charts, contact forms) and how well it’s written. Ask yourself if your believe your company is publishing quality content? EXAMINE SEO ELEMENTS: Review the Page Titles, Keywords, Meta Descriptions, Headings and Alt Image Tags. Are target keywords and phrases used on the page? Are page descriptions and metadata employed appropriately? Are headlines optimized for search? Search engine optimization (SEO) begins and ends with content. So evaluating to what extent content conforms to best practices in search is an essential part of an audit. EVALUATE WHAT NEEDS TO BE ADDED AND REMOVED: Now, you are ready to determine what stays, goes, is reworked as well as any organization or reorganization. If you are revising or refreshing a website, a content audit provides learning for site architecture, navigation tabs and drop-down menus. JUDGE FOR CONSISTENCY OF VOICE AND TONE: How do you express yourself? What is your attitude to people know something about you?. They are essential qualities that should be consistent because they create trust and help others determine if they would like to get to know you better. 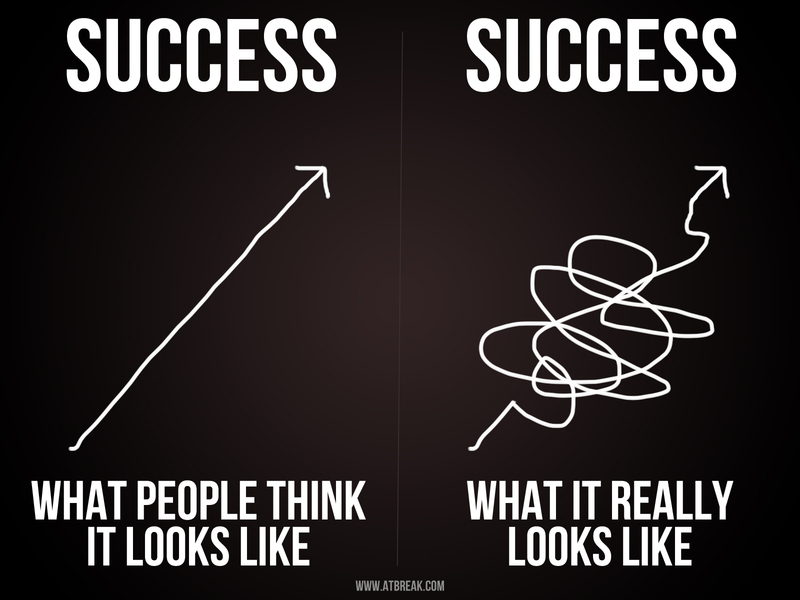 PLAN FOR SUCCESS: Now you’ve done the hard work. 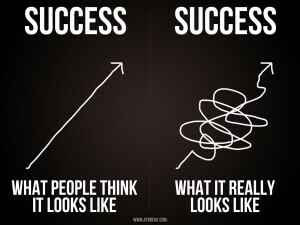 And you have a template, game plan and actionable scorecard for seeing improvement and success. Examine progress periodically. Once a quarter or even twice a year is a good schedule for reviewing your content audit. Once it’s done, a content audit is a valuable company asset. A great piece for learning, insights and actions. 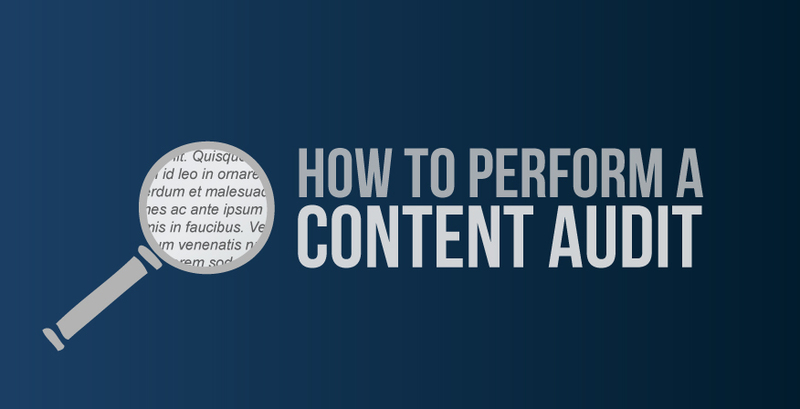 Do these steps convince you of the value of a content audit? Are they simple enough to follow? Do you need help conducting one for your company? The numbers say content marketing is worth doing. But not without a strategy and resources to create unique content. How to create unique content? Where are resources? Right in front of you. Here are the 10 surprisingly simple ways to create unique content. EXPLAIN RELEVANT TERMS FOR YOUR INDUSTRY: Providing content that explains relevant terms in your industry (what they mean, why they are important) is a great way to create unique content. For example, if your business bakes blueberry products, explaining “What is the difference between cultivated blueberries and wild blueberries” proves authority about your area and attracts interested consumers. It’s also is a highly effective way to improve SEO (Search Engine Optimization). Because you’re adding keywords that are relevant to what you do. GIVE TUTORIALS: One of the best ways to establish a connection with your audience is teach something new. If your blueberry bakery explains “How to bake great blueberry muffins” and offers a recipe, you show your expertise and convey the quality and care that goes into your products. All you are doing is making something available you already know and practice every day. SURVEY. ASK CUSTOMERS WHAT THEY WANT: Are you unsure what your customers what to know? Ask them. Ask them for challenges they’re facing. Problems they want to solve. Ask them what topics they would like to know more about. Directing even one question to a few customers can lead to great content inspiration, ideas and is a highly effective form of lead generation. INTERVIEW EXPERTS: Talk to interesting people in your industry. People who offer unique perspectives. Even if they’re just telling their own stories about experiences they’ve had, they’ll attract others just like them who will want to learn more about your business. SHARE REVIEWS: All review sources like Yelp make it easy, with just a click, to share a review with your network. Let good content from others spread. Reviews are an easy way to let others help you create unique content. SHARE RELEVANT CONTENT FROM FOLLOWERS: One of the best ways to develop relationships with influencers is to share content from your followers. If they say something interesting about your industry, have insights into news, then share it with our audience. It shows the company you keep and the appreciation you have for others in your network. GIVE HISTORY, FACTS AND INTERESTING TIDBITS: Every business has an interesting story. Maybe it’s how you found your first client, or how they found you. What the founder did before he started the company. Who was your first employee. When your building was used for before your offices were there. Interesting and relevant facts in the context of “did you know” are an good way to keep content fresh and keep your audience coming back for more. INTRODUCE NEW EMPLOYEES: When you hire a new employee, it says to others your business is growing and you’re proud of the people you hire. This type of content speaks well of any business. DELIVER UNIQUE CONTENT IN VARIETY OF FORMS: These are simple ways to create unique content. Now, make it interesting by delivering it in a variety of forms. Content marketing is video, images, blogs, post, infographics, white papers, webinars, podcasts – you get the idea. If you want to see a complete list of all the forms content marketing takes, here are 105 types of content. You probably have a number of them already. Now, just use them and put them out there. Do these ways show you how simple it can be to create unique content? How many of these ways do you use? Do you need help to create unique content for your business? Content marketing is now used by 88% of organizations and 76% plan on producing more content this year than last according to the Content Marketing Institute. With this many companies doing content marketing, there are bound to be winners and losers. To help you differentiate the two, here are 36 stats that spot signs between content marketing success or failure. Companies that struggle with content marketing use only a portion of their marketing staff, have trouble development engaging content, lack a consistent strategy, don’t identify their audience and have a measurement plan. As a result, they don’t see the business value in content marketing. Companies that succeed with content marketing have identified business goals, know their buyer personas, make content marketing a company competency, use a variety of content forms, curate and re-purpose content and have metrics to measure success, often throughout the entire buying cycle. They also cite trust as an important benefit to content marketing. Do these statistics help you spot the signs of success or failure to content marketing for your company? Do you need help getting on the right track with your organization’s content marketing? These facts suggest relevant content, after the product or service a company offers, is a brand’s most valuable asset. Content marketing takes many forms from blogs, case studies, emails, guides, how-to’s, infographics, interviews, podcasts, product reviews, videos and even native ads. A brand should have a strategy for content marketing specific to the desired business results and then choose tactics. Are there metrics to guide your company on effectiveness of the business strategy for content marketing? Ones that are most likely to give insights and serve as an actionable scorecard? Here are 20 data-driven metrics every content marketer should know. VISITS AND UNIQUE VISITORS: The latter refers to the number of distinct individuals visiting your website during a given period; the former the number of times a site is visited, no matter how many visitors make up those visits. These are foundations for awareness. They let you know the size of your audience and if it is increasing or decreasing month to month. TRAFFIC SOURCES: Tell you where your audience is coming from: Organic search, paid search, social media, other websites or coming direct, typing your website URL in their browser. This helps you learn if you’re attracting the type of people you want and if it is in line with how you are spending your time and/or money. LINKS: Come from other websites, blogs or social network pages that mention your content with a link. It is not only a measure of your awareness; it is a measure of your level of authority on a particular topic. KEYWORD SERP RANK: 54% of people find a website through a search query. 34% click on the first website listed in organic search; 90% of clicks occur on the first page (source: Forrester). If your Search Engine Rank Page (SERP) is high for a particular keyword, consumers are likely to be aware of you on a particular topic. KEY CONTENT: Is the best indicator of content on your website that visitors find unique and differentiating. FAN AND FOLLOWER COUNT: 37% of consumers use social network sites for research to obtain information and feedback (source: Marketing Land). 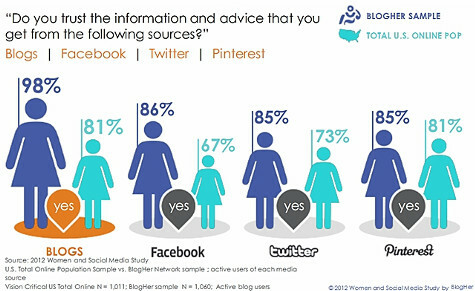 Social network followings are a source for awareness. BOUNCE RATE: Is the percentage of visitors who enter your site and then leave (“bounce”) rather than continuing. It is a key measure of the relevance of your website, content and ability to engage your audience. SHARES: Measure content that consumers find most interesting. They also are a means of showing the value of your “earned” media. COMMENTS: Are important for lead generation, building relationship and finding your advocates and influencers. SUBSCRIPTIONS AND REGISTRATIONS: From email newsletters, ebooks, webinars, subscriptions and registrations are a key lead generation vehicle in a content marketing program. EMAIL OPEN RATES AND CLICKS: Represent the percentage of your audience that usually opens what you send or clicks on actions you want them to take. These metrics also come with their email addresses. DOWNLOADS: Usually occur for more content rich pieces like ebook, product information or a podcast. They measure the most interested segment of your audience as well as people who might share your content with others. RETURN RATE: If you send a survey out, hold an event or conduct a webinar, the return rate is a valuable measurement for seeing the percentage of people who express interest and respond. UNSUBSCRIBES AND OPT-OUTS: It’s as important to know the percent of your audience you may be annoying as interesting with your content and to keep at a minimal level. SALES: Are the most important conversion. But, so is understanding buying behavior and the buying cycle which all of the above help to do. For many content marketing programs, there are often “micro” conversion as well as macro conversions. That is, smaller actions that are often predictive of major events. PIPELINE GENERATED: As is it likely other sales and marketing activities are used to generate quality leads and sales, the pipeline from content marking should also be evaluated relative to its value. PRODUCTION COST (TIME AND MONEY): Whether it’s time or money (or both) that are being invested, the human and dollar value should be calculated. RETURN ON INVESTMENT (ROI): Just like any other investment, from the metrics above, the return on investment of content marketing can be calculated. No business should take any major initiatives without an actionable scorecard. Do these data-driven metrics convince you of the measurement value of content marketing? Are there others metric you would include? 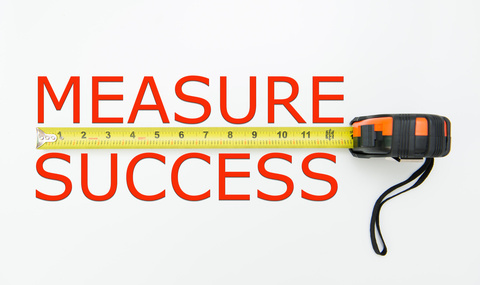 Do you need help measuring content marketing?